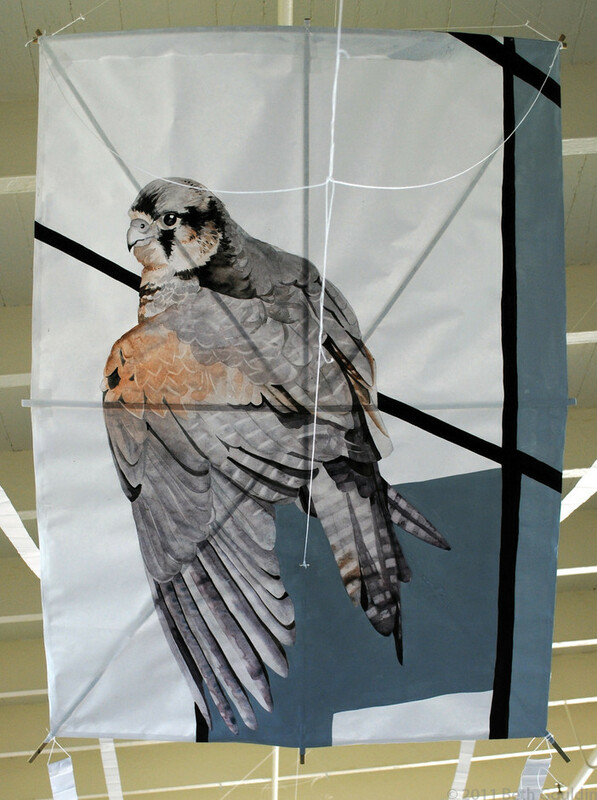 Tsugaru kite–masa/washi, bamboo, nori paste, cotton string Painting – watercolor and gouache Approximately – 40”x30” $350 Amazingly enough, there are nesting Peregrine falcons in the Financial District and SOMA! They have adopted the skyscrapers as their cliffs and make themselves quite at home. I had a unique opportunity to study this particular bird firsthand at West Coast Falconry in Marysville, CA. They are a fantastic organization for anyone interested in falconry and offer classes and experiences. I did an introductory class and we had the chance to fly Harris hawks to the glove and then get up close with Peregrine Falcons and Merlin’s as well.